Each year I like to do a "best of" post where we really dig deep into some of the best tips, advice and information about real estate. You know, what I really want my clients to know. Let's focus a little on finances. Whether you are looking at buying a house or just saving for a down payment, these tips can help you establish credit, save money, and buy smarter. Are you planning to buy a home in the near future? 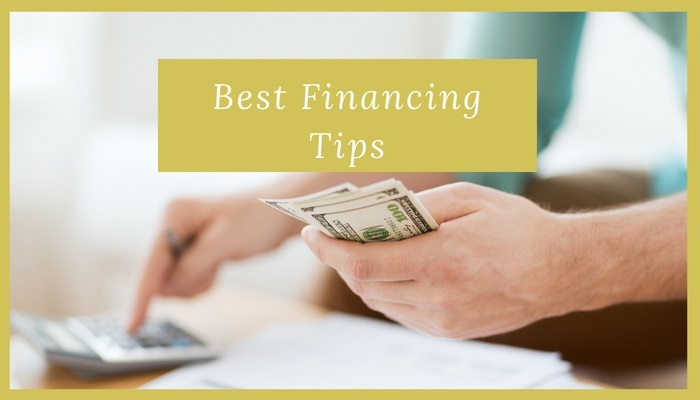 Financing a home purchase through a home loan is probably the most common way to buy a property, however, many cash buyers are beating out financing buyers, especially in the California area. If your financing the home, here are four things to do before you apply for that home loan. It’s not rocket science to know that you need to have a good credit score in order to get a good interest rate or to even apply for financing when you buy a house. But how can you improve your credit history? There are a variety of ways and it all depends on how long you’re going to work on your credit history before buying. Here are some basic ways you can improve your credit score and how quickly they will improve. Have you suffered a foreclosure, short sale, or bankruptcy? If any of these financial issues have plagued you in the past you might be wondering how long you have to wait before applying for a new mortgage or home loan. There are standards depending on the type of bankruptcy or foreclosure you had and waiting periods for each type of mortgage, however, amazing loan officers have unique programs and options that may be able to get you in a home sooner than these waiting periods, provided you have a steady income and a decent credit history. I know, after a bankruptcy or foreclosure it can be difficult to have a high credit score, but you might be surprised. You never know unless you ask. Here are some basic waiting periods that distressed borrowers might need to wait through if they've had a foreclosure, short sale, or bankruptcy on the record. The average FICO score of approved conventional mortgage is about 732. That's pretty high considering that most of Americans are below the 700 mark. But, that doesn't mean that those that are below 700 are out of luck on getting a home loan. There are several different options and federal and state programs for those with low credit scores or distressed borrowers. Here are the three types of loans you may want to look into. Can I Refinance Out of the HERO Program? The HERO Program is a Property Assess to Clean Energy Program by the Federal Government to provide financing for different products to a home and businesses in approved communities around California. It offers to finance energy efficient, water efficient, and renewable energy products. It was developed originally in 2010 and is now available to nearly 100% of people living in California. We may not learn everything in school, some things we need to learn by doing or watching other people. Here are 10 a lifelong money lessons we all should know but are rarely ever taught.